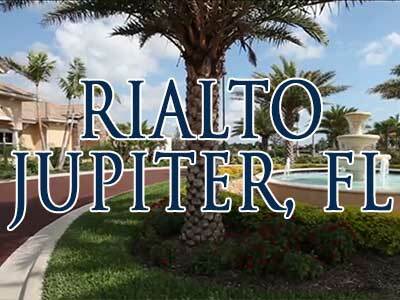 Rialto, located in Jupiter, is composed of 312 single family homes built by Lennar Homes. Homes, either Presidential or Executive models, range in size from 1824 to 4170 square feet with a 2- or 3-car garage and were designed with Mediterranean-style architecture. Prices range from the $400,000s to over $800,000. Amenities include a Grand Clubhouse with pool, tennis, and basketball courts, as well as a playground and walking paths. Conveniently located, Rialto is within close proximity to A-rated schools, I-95 and the Florida Turnpike, restaurants, and shops. To learn more about Rialto, please email or call (561) 746-7272 and one of our team will be happy to answer your queries.